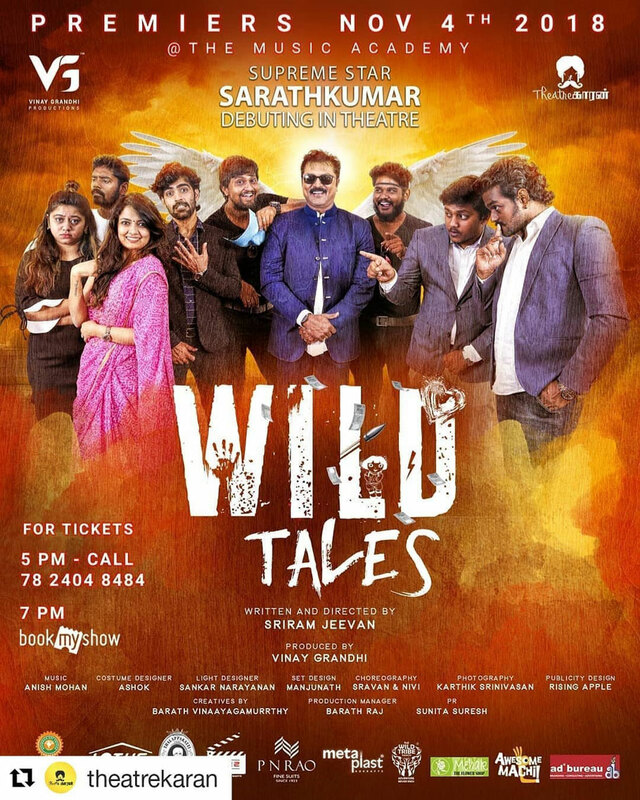 On the 4th of November, 64 Students along with 2 staff members of HITS had a quality time watching the play (Tanglish theatrical drama) ‘WILD TALES’ directed by Mr. Sriram Jeevan at the TTK Music Academy. HITS was a proud knowledge sponsor of this event. Wild Tales is a compilation of 4 short stories; each depicting on wild incidents that do not happen in an ordinary life. Though the stories & motives differ, they all have a common element that: they are wild in their own way. The 4 different stories of a thief, a prostitute, a couple & a policeman beautifully gave its own beat to the song of WILD TALES that lasted for an hour and a half. Betrayed by the society, 4 thieves seek revenge by planning to loot a bank which ends in vain as the beast inside each of them has its own thirst leading to a chaos costing all their lives. Searching for LOVE in a world of lust, a young beautiful prostitute falls in the trap of love with a vampire. All her dreams of ‘And Happily Ever After’ ends even before she could realize what has killed her. Young, Drunk & Broke is this Husband who's madly in love with Dora more than his wife. Eventually he realizes what true love is & gets along with his wife. A serial killer. How does he do it? Who and where is he? All these questions are answered by a 'not so smart policeman'. But who the killer was is all concerned- a famous psychologist. This bewildered the whole lot & all one could think was 'is this what fame does to one'? “You're the artist of this beautiful art called Life' & it's not God.